satisfy the needs of doctors and patients. 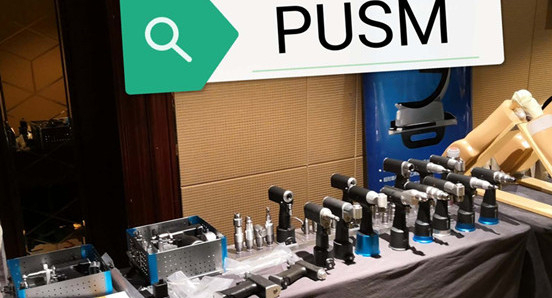 PUSM exists to provide excellent quality orthopedic power tools. more than 10 years’ experience. PUSM SYSTEM IV is our most powerful system. It offers a comprehensive set of attachments and accessories. PUSM SYSTEM I is a classic power tool for all orthopedic surgeries. With the PS I, PUSM offers a system engineered to drive your efficiency. PUSM SYSTEM III is our most advanced system, leading you operate more confidently and efficiently. Shenyang PUSM Medical Device Co., Ltd is founded in 2006. It is a specialized enterprise which is integrated with research, development and manufacture and sale of medical instrument & device. 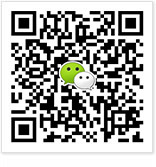 Our company is located in Shenyang, China. with a total area of over 6,000 ㎡ and a floor space of over 3,000㎡. According to Chinese national standards and corporate standards of medical devices, our main products are as follows. • Medical electric saw/drill series; Imported brush less motor series; High-quality brushless motor series; Medical multifunctional power tool; Specialized system for ankles; Specialized power for pedicle screws implantation; Specialize power for external fixator screws implantation etc. • External Fixation System; Medical pulse irrigator; Bone cement syringe; Bone cement gun; Orthopedic instrument etc. The corporation has a substantial technical strength, advanced technological equipment and complete inspection methods, winning the trust of customers with quality products and services. Now, our products are well-received in the market and have won the customers' compliment home and abroad. We adhere to guide line of “Science led, market Oriented” and the tenet of “Strive for perfection, benefit to the mankind” and make a great effort for the health of people. PUSM POWER TOOLS at AAOS AAOS 2019 was in Las Vegas, from March 12nd to 16th, 2019. Grateful to all of you who stopped by our booth! So many new and exciting developments to share from the portfolio. Looking forward to seeing all of you in Orlando in 2020! PUSM always desires to provide you with competitive price and good service. It's our pleasure to attend the Shenyang Sports Medicine Association on April 13th,2019. This association is undertake by China Medical University ShengJing Hospital. PUSM Medical focus on orthopedic field for more than ten years. Our orthopedic power tool satisty the need of doctors and patients. PUSM always provide medical bone drill, sagittal saw,acetabulum reamer drill with competitive price and good service. For more information about products, please feel free to contact us. 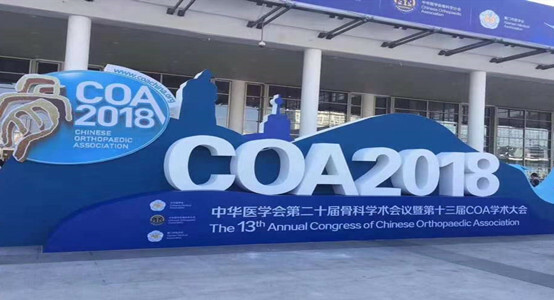 PUSM Achieved Great Success in COA 2018 November 21, 2018 PUSM Medical Device Co., Ltd successfully participated in The 13th Annual Congress of Chinese orthopedic Association in Xiamen. Copyright by PUSM MEDICAL 2019. All rights reserved.